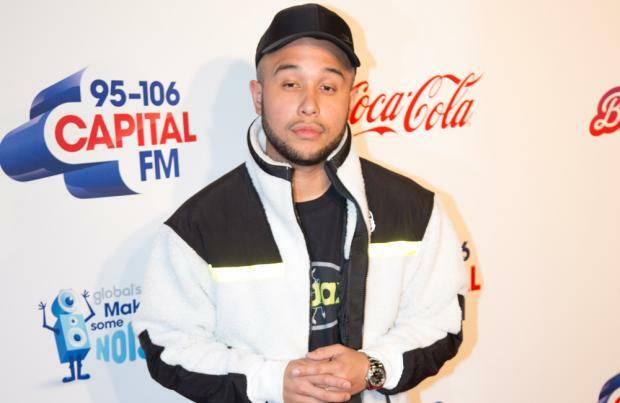 Jax Jones lost out to Calvin Harris when it came to bagging Sam Smith for a song. The 31-year-old DJ and producer has made a name for himself in the music scene having collaborated with the likes of Demi Lovato and Mabel - however he still finds himself competing with the likes of Calvin Harris when it comes to securing more big named musicians to feature on his songs. In an interview with the Official Charts, he said: "The thing about the charts these days is you have to pace yourself. It's like getting on a horse for 10 weeks and constantly racing. It's been competitive this summer with Drake and Calvin. "In fact, Calvin won't leave us alone. He's getting everyone that I've emailed asking if they'll sing on a record and beating me to it! I emailed Sam Smith with a track about four months ago. Nevermind though, eh?!" However the 'Ring Ring' hitmaker doesn't have any problems being compared to the Scottish producer and went on to explain how he had ambitions to be just as successful after his musical debut in 2016. He explained: "'After You Don't Know Me', people were like, 'oh right, okay...' but after 'Breathe' people were more like, 'okay, I like this guy!'. That song earned me the kind of kudos you look for as a musician. "I've always dreamed of being someone like Calvin Harris, who is incredibly consistent. People started regarding me as someone who makes hits, which is so gratifying as a musician." Jones also has aspirations of lending his own vocals to one of his tracks after years of collaborating with famous vocalists. In a previous interview, he revealed: "I've got a lot of new collaborations, I've been in with Ellie Goulding, Jess Glynne and more writing sessions in September are coming up. "But my dream is to get a song without a feature or guest vocalist and maybe even I'll sing on it and have a hit that way, that will be so fresh. "Man has tone, I've got notes trust me! I have a few songs I sing on and everyone is trying to persuade me to do them live, but I am too shy!"